January 20, 2014 | Lens cap....off! 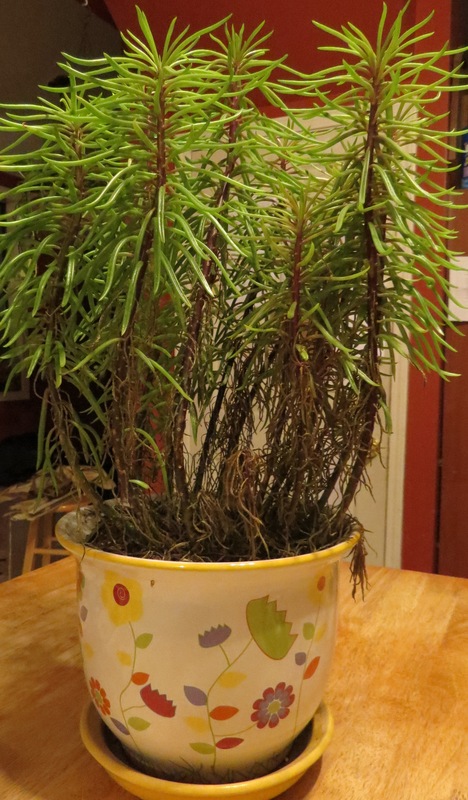 This is either a Senecio Himalaya or a Senecio Cylindricus (Google images can’t make up its mind), and it’s one of my rescue plants (some people rescue dogs, I rescue plants) (and for the record, I’d rescue a dog if I had the chance). All of a sudden the bottom half of the leaves seems to be drying up…bye bye. I don’t know if this is normal or not. With my luck, this is normal behavior for this plant and my attempts at saving it would mean certain death for the poor thing. The poor thing looks like it went into battle and lost. And ignore that other crap in the background. Please and thank you. I know this is a version of a succulent, so I’m not watering it like crazy. Should I be watering it every week (I’m watering it every week and a half to two weeks)? Should I be removing the dead stuff? Is this plant doomed? So, if you know anything about this plant I will love you forever if you share any tips. Or bad news. Better yet, share good news. I’d hate to lose this one. Tomorrow I’ll whine about my troubles with my dieffenbachia. That one I think is doomed. Not much an entry for my camera, sorry.